Majestically, the small, steep islands protrude from the water. 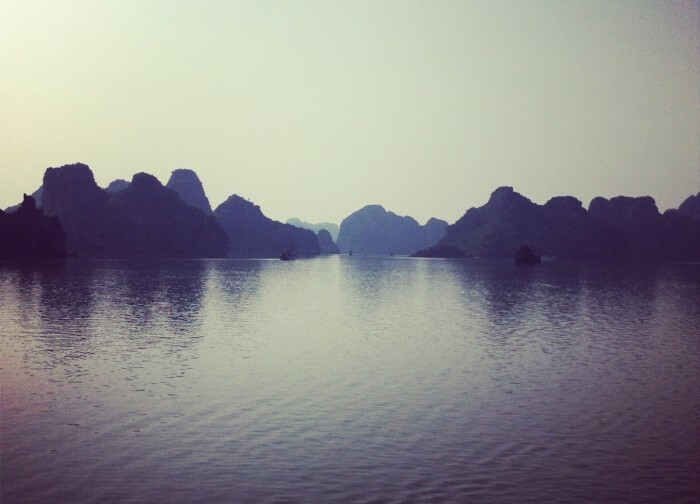 The surrounding deep blue sea is calm, the blue mist is slowly clearing away from the limestone faces of Halong Bay. In endless ranges, they sit enthroned over the surface of the sea, swallowed in the distance by the mist. The dragon that is said to be resting in these waters is hand-tame today. Yet sometimes, he flares up, causing the sea to tremble and storms to build. It is what the fishermen believe that have settled around the carst islands vegetated by moss and undergrowth. In the shadow of the Islands, their floating villages are exposed to the dragon’s tempers. They have lived there for centuries, relying on what the sea provides them with. And – for only some time – on the tourists. Thinking of the other tourists, the muffled noise which I had nearly forgotten in sight of the beautiful, rocky scenery once more reaches my consciousness. Clearly, the deep hum of powerful generators reaches my ears and reminds me of last night, which I have spent only half asleep, in a cabin next to the machine room. Insulation is expensive, therefore not profitable. Our complaint was turned down with a smile. The crew happily informed us that the noise was the music of the junk before we turned round in our bed and tried to sleep with our heads at the footboard where at least we did not feel the vibrations the sound was causing at the head end. There are around 25 ships anchoring directly next to us. They are similar to ours; some a bit more fancy, a bit more expensive, some even more rundown. The paint is peeling off. The salt has pitted the wood. The engines smell and old ropes go off on the floor. The railing is sticky from seawater and lacking cleaner. The cabins are musty but clean at least. You can chose to overlook a lot of this. 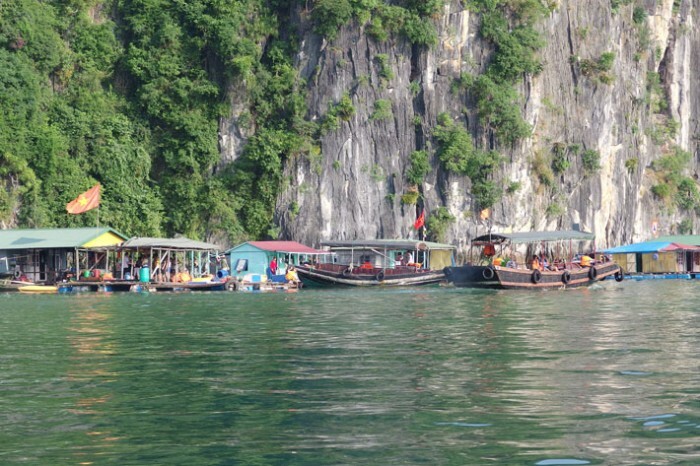 But you can’t overlook the fact that there are too many people by far in Halong Bay. We realize that in the end, we are all in the same boat. Sorry for the word-play, it was tempting. We drive on the same waterways to the same destinations. We anchor right next to each other, we are shooed through the same caves on the same routes and spend our evening onboard with a stick and a bait in the vague hope that we will catch squid that has dared to come into the dirty water surrounding our ship. We cannot flee this bay where there are more tourists than rocks – and many more than the bay can bear. Only for short moments, we can enjoy it for real. Everybody who pays will get on board. 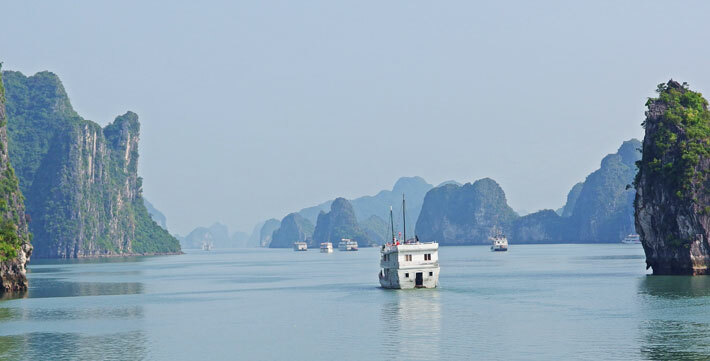 Around 800 tourist ships travel Halong Bay, situated North East of the capital Hanoi. Most of them offer day tours only, some go on overnight cruises. All off them take the same route, all of them have the same destinations. They offer the same activities. 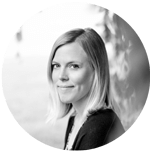 Everybody wants to take part in the big business that is tourism. 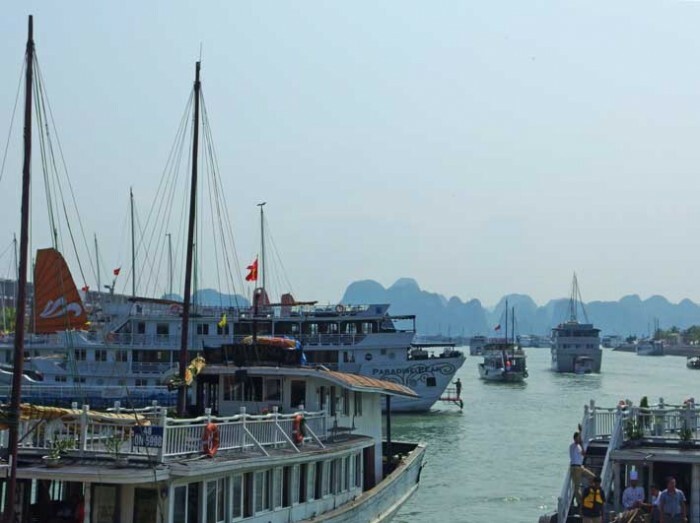 Only rarely one of them stays in the harbor of Halong City for more than a day. They promised us that our ship would be inspected in the following week to check if the generator is working properly – so that the next passengers will not have to suffer from the noise. We do not believe it. It would take four days in the harbor to do so. Without revenue. Well, call that unlikely. Only when the mighty sleeping dragon awakes, shakes the sea, and lets typhoons and storms roar over the rocks, the bay is deserted except for a few fishermen in floating villages, fighting the imponderability of nature. Because when the weather gets rough, the junks have to stay in the harbor. And nature has some time to regenerate. 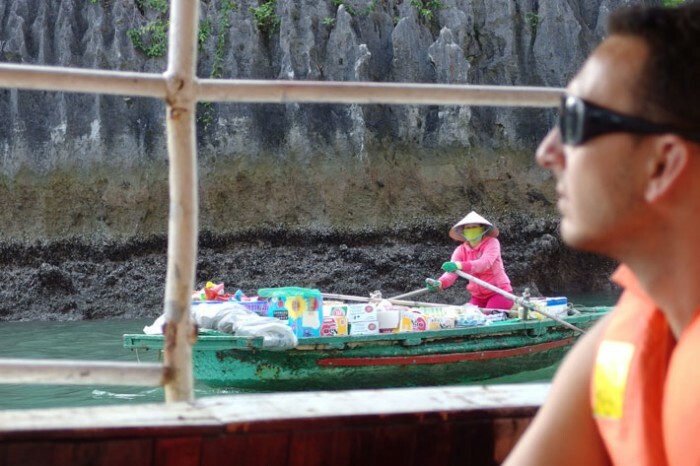 There is a lot that keeps your attention in Halong Bay. The most stunning view is yet the limestone rocks in the early morning or after dusk when they are covered in blue mist. Seeing them can make you forget about all the hustle and bustle of the tourist business in the bay.